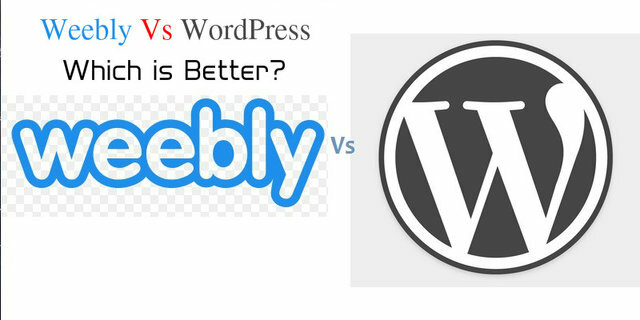 WordPress vs Weebly – Which one is better CMS? WordPress was launched in the year 2003 by its founding fathers who were Mike Little and Matt Mullenweg. Since then WordPress has been rising from strength to strength and continues to remain incredibly popular even today. However, since the foundation of Weeble by Chris Fanini , David Rusenko as well as Dan Veltri, people have been asked the pointed question as to which of the two is better for website building purposes? Here the pros and cons of both have been discussed to help you. The great thing about WordPress, as opposed to other content management sources, is that it is open source platforms, where programmers have no qualm about sharing their codes freely and openly online such that everyone can view and make of them. A feature like this one, allows users to save a lot of time while working and everyone is aware of the fact that in the business world even a few seconds are incredibly precious. This is one reason why many opt for WordPress. Whether it is a small business, big business or and individuals personal website building needs, WordPress is perfectly affordable to one and all and that it is why it has become so popular across the globe. Rather than opting for an expensive system, why wouldn’t people just go in for WordPress when it is so cost effective and it can do everything you need it to do, in terms of taking care of your website needs? Even the smallest of savings each month go a long way in increasing profits in the long run. The basic SEO might not be all that user-friendly however when you add on your plug-ins you are easily able to get quality work done without much trouble. Plug-ins can be easily used to better SEO results. As opposed to other website builders which do not permit any third party plug-ins, on to its system WordPress is rather flexible when it comes to this particular feature and it is for this reason that it has been able to attract a lot of loyal users. One major pro of WordPress is that it has an exceptional community support system where if they have any problems, complaints of difficulties that can get in touch with both experienced WordPress users or even their employees who are both polite and well versed and equipped in handling any problem that comes their way. Support and assistance are available to users in a number of ways which range from tutorial videos to solve problems, community forums or even chat options which are available at any time of the day. Irrespective of the fact of whether you are tech savvy or not, you will not have even the slightest trouble setting up or installing the WordPress content management system. Contrary to popular belief where many people without even using the system say that you will need to require the skills of a professional programmer, you have to try the system out for yourself to know that it is rather user-friendly and self-explanatory in this regard and if you face difficulty you can seek assistance online. Unlike other website builders like Feedburner, WordPress is something that is unlikely to fade away in the near or even distant future. The fact that it is an open source content management system implies that its ownership does not rest in the hand of a single company or even a single person. With WordPress being used by billions across the world and big companies relying on it heavily for their website needs, it is no wonder that WordPress is used by nearly 25 percent of the world’s top ten million websites. Portability is something which is much more important that you might think it to be. Portability with other systems might be both complicated and tough, however, this does not hold true for WordPress where you can move your site anywhere as per your wants without having anything to worry about. It permits you with great ease to alter your domain name, Change to a different host or even move to another CMS, which is something you will certainly not find elsewhere. Though the drop and drag facility are not available on WordPress, yet it can be easily availed of through a plug-in. However, in Weebly, this is a feature that is a built-in part of the system and you can make use of it so that you are able to get your work done without facing even the slightest of difficulty. Drag and Drop imply that it has a visual interface where you can see an element you would like to use and drag it from your toolbar right to your website arena without any fuss. Needless to say that no matter how easy a system is to use, once you have successfully installed it, the thought does run through your mind asking you, how exactly does this thing work? In that case, all you need to do is simply the use of the comprehensive education and onboarding which has been offered for your convenience once you install and set up the system. Speed and security are practically the only departments in which WordPress falls short as compared to Weebly. However needless to say speed and security are important factors when individuals are choosing which content management system to opt for. You can save a lot of time making use of Weebly as the pages load at a high speed without causing your delay or irritation at all. As mentioned above, Weebly is very secure. As opposed to that which using WordPress chances are that you might face some security threat issues owing to the fact that it is an open source platform where various programmers freely share their codes online for anyone to make use of. Though this is a positive feature yet it does have its downside at the same time. You can use any number of third-party plugins on WordPress however sometimes what happens is that when the system is updated then many of the plug-ins become irresponsive or start acting up. Chances are without these useful plugins you will not be able to get your work done in a satisfactory manner however if you do not update your system there will be several security loopholes and your version of WordPress might expire altogether. When designing your website it is important for users to have a number of templates to choose from so they have no trouble in finding something that suits your needs. When making a website it is of paramount importance to give great stress on the look of it so as to attract a lot of viewers. If the content does not match the appearance of your website then that becomes a problematic situation as well. Having a page which takes long to load is something that many find hard to work with. I addition to causing a hindrance to work it is also a big source of irritation to people. The main reason why it takes so long to load is that there is heavy coding on the page. If this is something you might not be able to handle them better not to opt for WordPress. Irrespective of the fact of whether it has a lot of built-in features available or not, Weebly does not allow any third party plug-ins to be added. So there is hardly any scope to improve its performance in any way. As opposed to WordPress where portability is an absolute breeze, Portability is a rather complicated affair when it comes to using Weebly. This is one of the main reasons why users prefer to make use of WordPress and even though that system too has its share of cons, they are willing to look beyond it as portability is a feature that is very important. Though there are many points where both these website builders are at par with one another such as both have mobile-friendly systems, secondly, both have mobile apps available, both are available at affordable rates and both have good search engine optimization available. However, based on the pros and cons, WordPress beats out Weebly at any costs. You should make your decision based on which of the two suits your purpose, because at the end of the day personal needs and preferences matter most.